There’s Only One Opinion That Matters.. Yours! Be your wonderful self quirks and all. People will either love you for who you are or they won’t. It’s that simple really, there is no rock science or fancy formula to get people to see you for who you really are. You can only be yourself. You can’t control what people think of you. The moment you start focusing on trying to get people to like you, or focusing on people’s opinion of you, your life will become a mental tug of war of people pleasing and constant worrying. You know yourself better than anyone, work on the things you need to, remove any destructive thoughts and behaviours from your life because ultimately these are things that will make you not like yourself. The faster we stop caring about the opinion of others the faster we actually take action instead of being paralysed by constant worrying and questioning of ourselves. We always focus on the bad which does not help us. Person A thinks you’re the scum of the earth but Person B thinks you’re the best thing to walk it, who’s right? 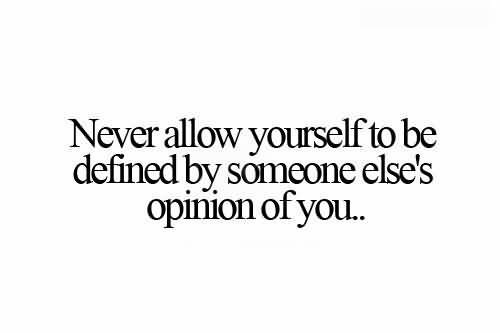 It’s just opinions based on perspective and past experiences but no one can say what’s true of you other than you. No one can tell you what or who you are, the only opinion that matters is the opinion you tell yourself, the opinion that you actually believe. 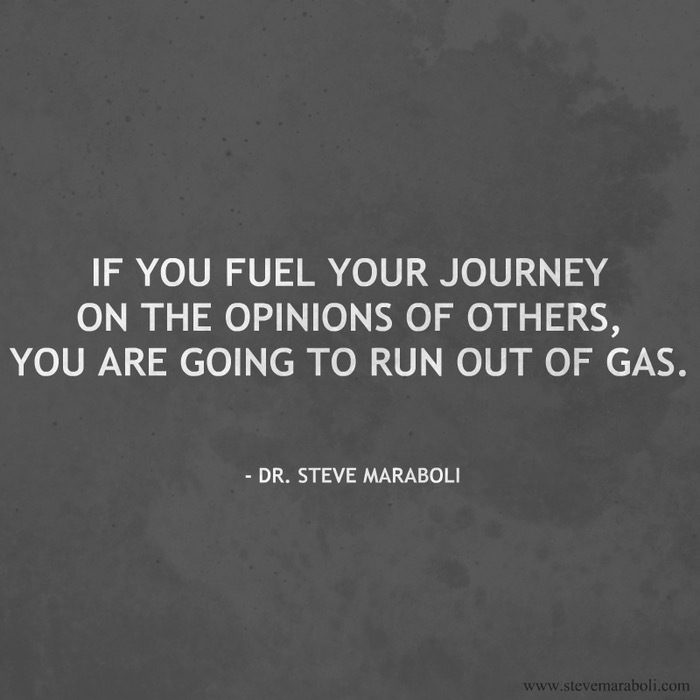 Don’t let someones negative opinion of you become your reality by focusing energy on it. Just remember people are entitled to their opinion but that all it is, an opinion.